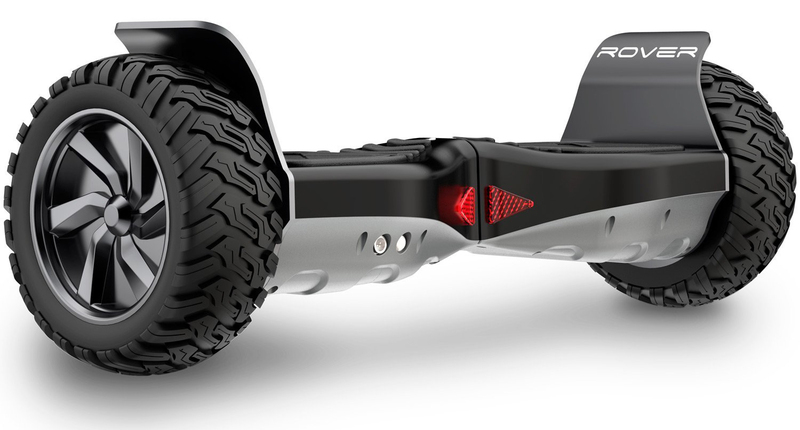 Who does not want to invest in a hoverboard which let them cruise past the passers-by without them noticing. Who does not want to set out on the roads and stun their peers with the staggering speed their hoverboard has to offer? Therefore, here we are, with the 6 fastest hoverboards in the market, the speed-fanatic-you will not be able to wait to put your hands upon! You can never go wrong with the top speed of 12.5 Miles Per Hour, which is a great speed when it comes to hoverboards. Street Saw Future Saw Pro runs on the same German Engineered Motors, as used by Tesla, a name which needs no introduction! The motors are powered by Samsung or LG Lithium Ion Battery, which enables you to ride for 5-6 hours for 12.5 miles without any ado. The Future Saw Pro has 8.5-inch gigantic tires, which will help you ride uphill at an angle of 30 degrees. Equipped with Bluetooth Speakers and LED lights, Street Saw Future Saw Pro is indeed a reliable and fast board, which you can carry around with easy. 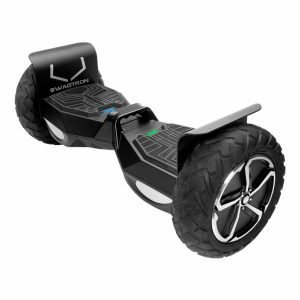 Swagtorn T6 offers a top-notch speed of 12 Miles Per Hour, which makes it the to-go-for Hoverboard for the riders who love to roll in speed. Not only you get to roll on the road, but Swagtorn T6 allows you to experience magic of its robust 10-inch wheels off-road as well. The 350-Watt Dual Motors let you rule the road in style! You can set out on the hilly roads, rocky terrains and even grassy fields for that matter, without any hassle or worries of getting the board damaged. You can climb uphill with it too, with the 30-degree slope capacity of the board. The board being an off-road miracle, is waterproof and dust proof, which stays as good as new even after years of rough use. Sporting the fantastic DC Brushless motors, Genesis Gemini will let you glide at the spectacular speed of 12 Miles Per Hour. Not only that, you can enjoy the 10 miles of fun ride the board has to offer while listening to your favourite music on 4.0 Bluetooth Speakers. Take more than a spin in your neighbourhood or glide uphill to test its 25 Degree slope capacity, Gemini will never let you down! A product of the revolutionary brand, Segway could no way hold back when it comes to speed, and therefore, with the awesome speed of 10 Miles Per Hour, Segway miniPRO qualifies as one of the fastest! Segway miniPRO can run up to 14 Miles per hours, leaving the rest of them overawed. 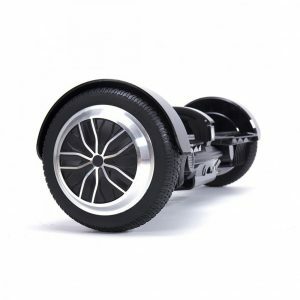 Not just that it comes with all the features you are looking for in a professional quality Hoverboard, such as: 10.5-inch Air-filled Tires with the ability to adapt to the type of terrain you are riding upon, an anti-theft alarm, mobile app, Bluetooth speakers, 15-degree slope capacity, Aircraft Grade-Magnesium Alloy Frame, UL 2272 Certification and a lot more. And when you get one for yourself, you will fall in love with not just the speed but the stylish looks of the scooter with knee-bar for better balance and support for your speedy excursions! Sagaplay is a brilliant beginner level hoverboard for the ones who are planning to take a plunge into Hoverboarding for the first time. Its 250-Watt Dual Motors make sure that you fall in love with the sport, as soon as you step on board with the staggering speed of 10 Miles Per Hour. The board can carry the weight of up to 220lbs with ease, even uphill, with the inclination angle of 15 degrees. But as you are new and the board’s fast, you need to make sure if it is safe enough, therefore, the board is UL Certified, and has motor sensitive footpads for better control. 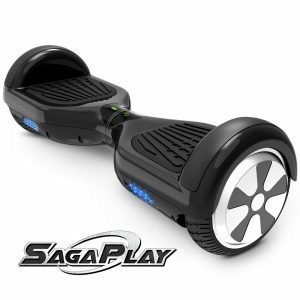 The safe and speedy, Sagaplay F1 is the Hoverboard for you if you are looking to enter the world of hoverboarding! The incredibly strong, Halo Rover is referred to as an off-road monster, which will help you conquer the streets as well as hilly and rocky terrains. Halo Rover is completely waterproof and lets you cruise around at an astonishing speed of 10 Miles Per Hour facilitated by its 800W motors. The board is equipped with Bluetooth speakers, which will make your ride feel like a musical fiesta. You can control the board with the help of the customised app and make sure that no fellow-rider can get past you as you up your speed game with Halo Rover. So, if you went through the article and have decided which one you want to cruise upon, go for it!